Dental fillings article topics. Click on desired article subheading link below (page will auto scroll to that part of the article) to learn more about dental fillings. Why is a dental filling necessary? Your dentist found tooth decay, now what? White or silver? How to choose which is right for you. Pain after dental filling. What to expect. A dental filling is a synthetic material that is used to restore the strength, function, and shape of a decayed, broken, chipped, or severely worn tooth. According to the National Institute of Health, ninety-two percent of adults have had dental caries on a permanent tooth. A dental filling is most often recommended when your dentist examines your teeth and finds tooth decay. Tooth decay is also known as a dental cavity. 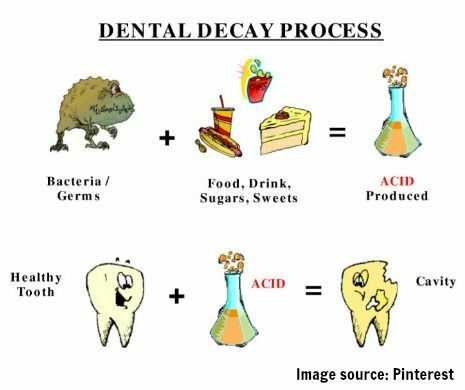 A dental cavity develops when sugars from your favorite food and beverages mix with the saliva in your mouth to produce an acid. This acid is strong and has the potential to weaken your tooth’s outmost layer called tooth enamel. The more frequently your tooth enamel is attacked, the higher the likelihood that a hole or dental cavity will develop in your tooth. Tooth decay is a bacterial infection. Left untreated, a dental cavity will continue to tunnel deep inside your tooth till it reaches the pulp chamber or nerve of your tooth which is often extremely painful. If a dental cavity infects the nerve of your tooth, your tooth will need a root canal. A root canal is a therapeutic dental procedure that requires your dentist or a specialist to remove and replace the nerve of your tooth with an inert filling material called gutta percha. Afterward, a dental crown will be recommended in order to preserve your tooth for a lifetime. There is no known cure for tooth decay. The best way to reduce your risk of tooth decay is prevention. If you suspect that you have a dental cavity or are experiencing tooth pain, please call (763) 586-9988 for an appointment. If you’re among the ninety-two percent of adults who has had a dental cavity, chances are great that your dentist discussed the need for a dental filling with you. Likely, you heard your dentist tell your dental hygienist or assistant that tooth number X (fill in the blank with a number 1-32) needs a m-o, a d-o, or some other combination of letters. What does that mean? In English please:) In simple terms, the size of a dental filling depends upon how many surfaces of your tooth is decayed, broken, and/or chipped. 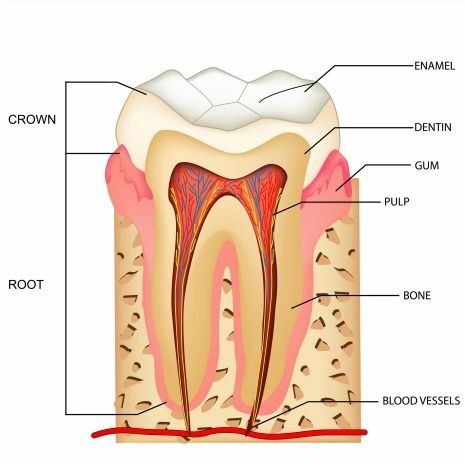 The corresponding number refers to which tooth has a dental cavity. 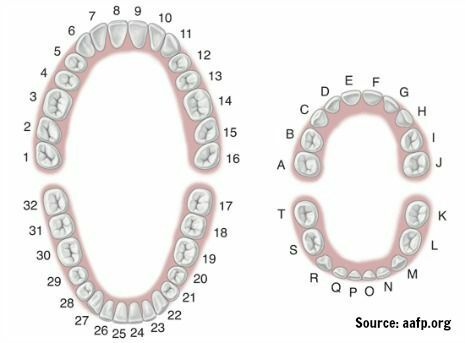 Adult teeth are numbered 1-32. Top teeth are numbered from right to left. Your upper right wisdom tooth is tooth number one and your upper left wisdom tooth is number sixteen. Moving to the bottom, your bottom left wisdom tooth is tooth number seventeen and your lower right wisdom tooth is tooth number thirty-two. What about kids teeth? Kid’s teeth are also known as primary teeth. Primary teeth are lettered and not numbered. They are lettered A through T, and like adult teeth, they are lettered from right to left. 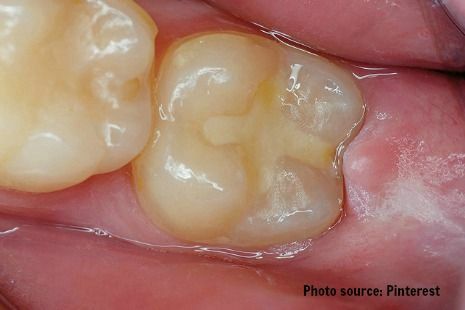 Tooth letter A is your child’s upper right primary molar. Tooth letter J is your child’s upper left primary molar, and tooth letter T is your child’s lower right primary molar. 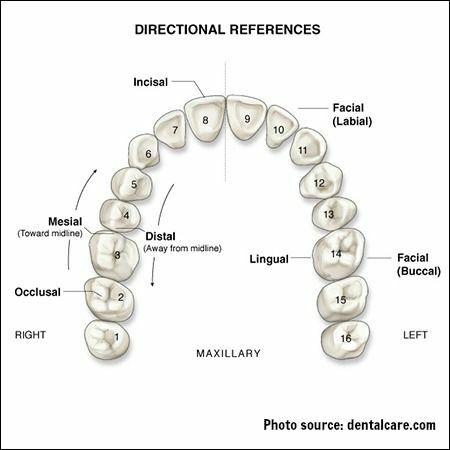 Each tooth surface has a named directional surface and corresponding letter designation or abbreviation that is universally used in dentistry. The letters and their definitions are listed below. M stands for mesial and is the tooth surface closest to the midline of your face. D stands for distal and is the tooth surface furthest away from the midline of your face. O stands for occlusal and is the chewing surface of your molar teeth. F stands for facial and is the tooth surface of a tooth that faces your cheeks or lips. L stands for lingual and is the tooth surface of a tooth that faces your tongue. There are a variety of dental fillings available: composite, amalgam, temporary, glass ionomer, gold, and porcelain. Composite (tooth colored) and amalgam (silver-colored) dental fillings are the two most popular dental filling options. Which one is right for you? It depends largely upon the location, the extent of tooth decay (if present), and/or how much your tooth broke or chipped. Your dentist will examine your teeth, review your cavity detecting films, and afterward review your dental filling options with you. Composite fillings are commonly called white or tooth-colored dental fillings. They are made of composite, a synthetic blend of resin and plastic designed to withstand the chewing forces of a back molar. Tooth colored fillings are most often used to restore teeth surfaces that are highly visible when you smile. Dental composites are discreet and hardly noticeable when you smile, laugh, or are talk. For this reason, composites have become a popular alternative option for restoring back molar teeth (shown below). People want a bright and white smile. Composite dental fillings are placed in thin, incremental layers. Each layer is bonded to the previous layer using a blue light that hardens each layer of composite. This process is repeated till the tooth preparation is complete. After which, the tooth-colored filling will be contoured and polished to fit your bite. 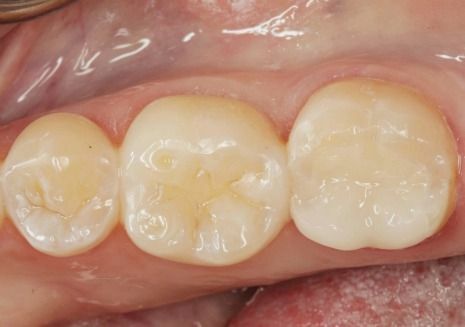 How long does a composite filling last? That all depends upon your home care, the location, and size of your filling. Generally speaking, composite dental fillings on average last between eight to twelve years, often longer with good home care. Also important to note is that composite fillings do have the potential to stain or discolor over time. How much? Again, that largely depends upon your home care, and if you enjoy drinking coffee, tea, wine, and if you smoke cigarettes (e-cigs included) or use smokeless tobacco. All these indulgences and substances have the potential to stain and discolor tooth colored fillings over time. Amalgam or silver dental fillings are a popular choice for back molar teeth. An amalgam dental filling contains silver, tin, zinc, copper, and a trace amount of mercury. This mixture comes encapsulated from the manufacturer and is mixed chairside by the dental assistant in a special machine after the dentist has prepared your tooth or teeth. 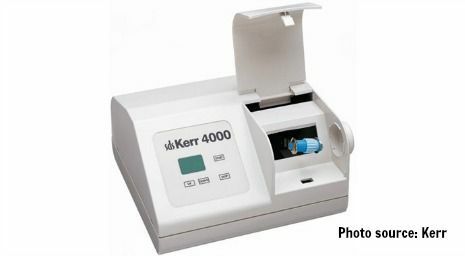 The amalgam mixture is then loaded into a specially designed amalgam carrier instrument (shown below) with a lever to expel the amalgam into your prepped tooth. This process is repeated until the tooth preparation is full. Afterward, your new amalgam filling will be hand carved and polished to fit your bite. How long does an amalgam dental filling last? Much depends upon your home care, the location, and size of your filling. Generally speaking, silver fillings on average last between ten to twelve years, often longer with good home care. 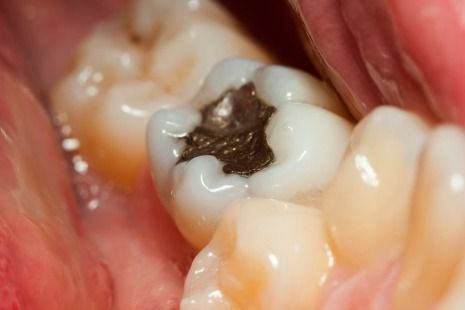 Are amalgam fillings safe if they contain mercury? Yes, unless you have an allergy to one of dental amalgam’s ingredients: copper, tin, zinc, or mercury. Mercury in dental fillings has been a highly contested and publically debated topic. Critics believe that the trace amount of mercury in dental fillings is linked to autism, multiple sclerosis, and Alzheimer’s disease. There are no conclusive studies in the over two hundred years that dental amalgam has been used to restore teeth. For the record, dental amalgam has been studied and reviewed extensively by numerous public health agencies and retains a “long-established record of safety and effectiveness.Dental amalgam is a durable, safe, and effective cavity-filling option (Source: American Dental Association, September 2016)”. Temporary dental fillings are temporary and at best may last a month. After that, they typically wear out, fracture, or fall out leaving your tooth exposed to bacteria and food debris that could result in a painful toothache. A temporary dental filling is often placed following root canal treatment or emergency dental treatment in order to protect the access hole from food debris until a permanent dental filling can be placed. Some temporary dental filling materials contain a soothing ingredient called eugenol. Eugenol helps to relieve an irritated nerve of a hypersensitive tooth. Once your tooth settles down, your dentist will place a permanent dental filling. can then be placed. Glass ionomer dental fillings are made of acrylic and a specific type of glass material. Glass ionomer fillings contain fluoride that slowly releases over time helping to prevent recurrent tooth decay in high-risk, cavity prone teeth surfaces at or below the gumline. Glass ionomer dental fillings are used extensively when filling primary teeth that will eventually be replaced with permanent adult teeth. The slow release of fluoride helps to prevent recurrent decay in kids’ teeth who are still perfecting their toothbrushing and flossing routines. The process to place a glass ionomer filling is kid friendly! Once the dentist prepares your child’s tooth, a glass ionomer capsule will be mixed, placed into a syringe, and squirted into the prepared tooth until it is completely filled. Afterward, the filling will be smoothed and polished. How long does a glass ionomer dental filling last for kid’s teeth? A glass ionomer filling should outlast the time until your child’s replacement permanent tooth grows in. In adults? The longevity of a glass ionomer filling varies widely. Longevity depends upon your home care, the location, and size of your filling. Glass ionomer fillings are not as wear resistant as a permanent composite or amalgam dental filling is. That being said, the average lifespan of a glass ionomer filling in an adult tooth is about five years. 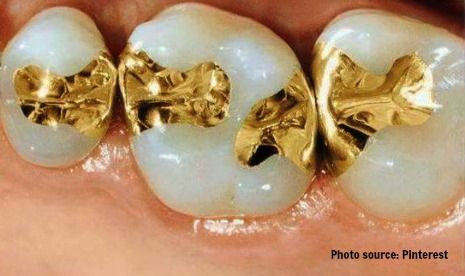 Gold dental fillings were popular in the 1960’s, 70’s, and 80’s. Dental history reveals that dentists used gold for filling dental cavities since ancient times. Gold is malleable, nearly immune to corrosion, and is able to withstand our jaws chewing forces. Gold dental fillings are rarely requested anymore. They have fallen out of popularity primarily for aesthetics and cost. People instead want a bright white smile. A smile where dental work is virtually invisible. In the event that you’re curious about gold fillings, gold fillings are made in a dental lab. Your tooth is prepared similar to that of a tooth colored or silver dental filling. Once prepped, your dentist will take a series of dental impressions that the dental lab will use to fabricate your custom, gold dental filling. This takes approximately two weeks. In the interim, your dentist will place a temporary dental filling to safeguard and protect your tooth from bacteria and food debris. At your return visit, your dentist will remove your temporary dental filling and dry fit your shiny, new gold filling. Once the fit is perfect, your dentist will cement your gold filling into place using a permanent dental cement. How long do gold fillings last? Gold dental fillings often exceed twenty plus years. Porcelain dental fillings are a premium choice for a dental filling. Porcelain fillings are shade matched to your natural tooth structure. The fabrication and tooth preparation process of a porcelain dental filling is nearly identical to gold fillings. Porcelain dental fillings are fabricated off site in a dental lab and a temporary dental filling is placed until your porcelain filling can be fitted and permanently cemented. The average lifespan of a porcelain dental filling can last for fifteen to thirty years! Bear in mind, that porcelain fillings can fracture. If this happens, a replacement filling will become necessary. One of the most frequently asked questions we receive regarding dental fillings for a back permanent tooth is how to choose between a white or silver filling. Which is better? A white or a silver filling. The answer….will that depends upon you. Pro tip! Many patients find it helpful to smile into a mirror. First, locate the tooth that needs a dental filling. Then smile and laugh:) And ask yourself, how noticeable would a silver filling be? Would it bother you if there was a silver filling? Only you can decide. While both options will restore your tooth, we can tell you that more and more people are choosing white fillings simply because they are less noticeable. Listed below are six factors to consider when trying to choose between a white or silver dental filling. 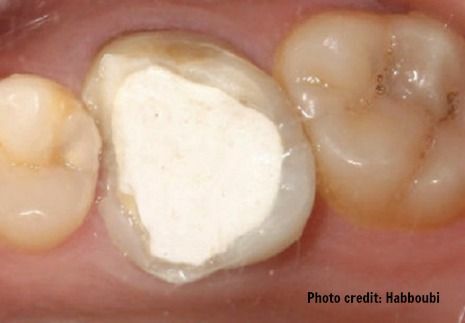 Amalgam fillings are stronger than composite fillings. White fillings are tooth colored and less noticeable than silver fillings. Amalgam fillings typically last longer than white fillings. 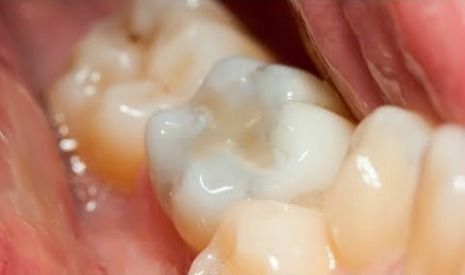 White fillings may discolor and stain over time. White fillings are more expensive than silver fillings. PS. Many patients afterward comment that they were so busy watching their favorite tv show that they almost forget that they were at the dentist. Your dental assistant will walk alongside you to your treatment room. She’ll then review your medical and dental history, explain what you can expect during the appointment, and offer you a selection of amenities to help keep you comfortable during your dental filling appointment. Once you’re comfortable, your dental assistant will place a numbing gel next to your tooth for a few minutes. The gel will make your gum feel tingly so that you barely notice the anesthetic injection. Afterward, we’ll give the anesthetic time to work, typically three to five minutes. Your dental assistant will test your tooth and surrounding area to ensure that you are completely numb. Once your tooth is feeling completely numb, your dentist will remove any tooth decay and prepare your tooth for a dental filling. This step requires the dentist to use various dental handpieces and instruments. Most of which make noise, spray water, and some may vibrate. It is not uncommon to feel us moving around and working on your tooth–in doing so, nothing should feel uncomfortable or painful. Both the dentist and the dental assistant will stop frequently and ask you how you’re doing. Once the dentist has finished preparing your tooth, a dental filling can then be placed. The remaining steps will vary depending upon which type of dental filling you chose. The picture above left shows a permanent back molar prepped for a MO composite filling for tooth #30. A band or ring is placed around the tooth in order to reserve space for you to floss between your teeth afterward. The picture, above right, shows the completed filling. You have to look real close to see the filling. Tooth colored fillings really do blend in nicely with your natural tooth. Once your filling is placed, we’ll contour and polish the filling. We’ll also check your bite and the contact (space between two adjacent teeth) with dental floss to ensure it fits perfect into your bite. Once the filling fits perfect, it will be polished and your dental filling will be complete. The dental assistant will review post appointment instructions with you and assist you to schedule any remaining or necessary follow-up dental appointments. Initial tooth sensitivity following the placement of a dental filling is not uncommon. Your tooth may be sensitive to air, temperature, and/or pressure when chewing for a few weeks. This typically subsides after the first couple days. It is also not uncommon for the anesthetic injection site or your jaw to be a little sore for the next day. The dental filling procedure requires you to open your mouth wide and for some people, this may leave you feeling a little sore afterward. An over the counter pain reliever can help. If your tooth sensitivity does not subside within two to three weeks, we want you to call and schedule a follow-up appointment. This could be a sign that your new dental filling is high and may need to be adjusted. The cost of a dental filling depends upon the dental filling material used and tooth surfaces restored. Your dentist will review your dental filling options and one of our scheduling coordinators will provide you an estimate of costs prior to scheduling your filling appointment. Most comprehensive dental insurance benefit plans have three categories of coverage: preventive, restorative, and major. Dental fillings are restorative. The covered percentage benefit often varies between categories. A common example is your teeth cleaning (preventive) may be covered at 100% while a dental filling (restorative) may have reduced coverage at 80%. Each insurance plan is different. 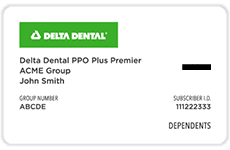 We recommend that you either check with your dental insurance administrator or ask one of our treatment plan coordinators to assist you prior to scheduling your dental filling appointment. Insurance deductibles and/or insurance copays are due at time of service unless prior financial arrangements have been arranged. Payment for dental fillings is due day of service. Dentistry for the Entire Family offers a cash savings discount of 5%. Additional seniors discount is available. Sorry, no discount for credit card payments at this time. We accept Care Credit. Dentistry for the Entire Family takes great pride in our dental work. We will replace or repair your dental filling in the event of a failure for a period of two years. Maintaining prescribed preventive dental care visits is essential to help extend the longevity of your dental restorations. For this reason, you must keep the prescribed preventive dental care visits (minimum every six months) or the warranty is null and void. If it has been awhile since your last dental exam, we encourage you to call today for an appointment. Call (763) 586-9988 to schedule an appointment.